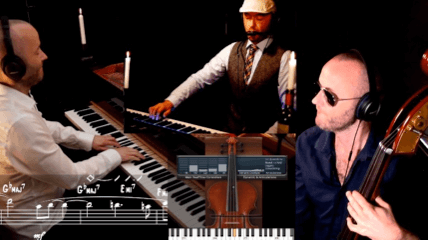 Can jazz piano be more romantic than playing the latin jazz piano ballad – bolero style? I don’t think so! 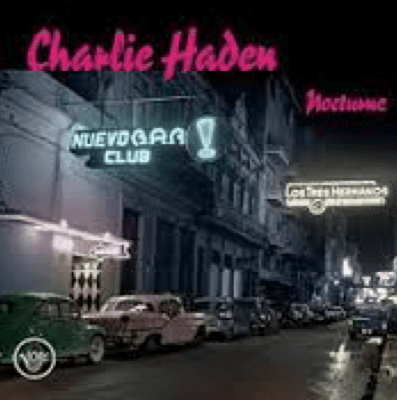 I found this amazing music a long time ago when I studied jazz piano and we had a Latin Jazz project. At the time I was also dating a woman that later became my wife. This, off course, may be one of the reasons to why I find the latin jazz piano ballad style to be so romantic, especially the Bolero style. When you play this music together with others, you as the piano player have more a role of creating colors than being the rhythm section. In more up-tempo latin jazz, you would in most cases play more montunos than anything else. However, the choice of notes when you play latin jazz bolero style is connected to the montunos you’d play on more up-tempo tunes. 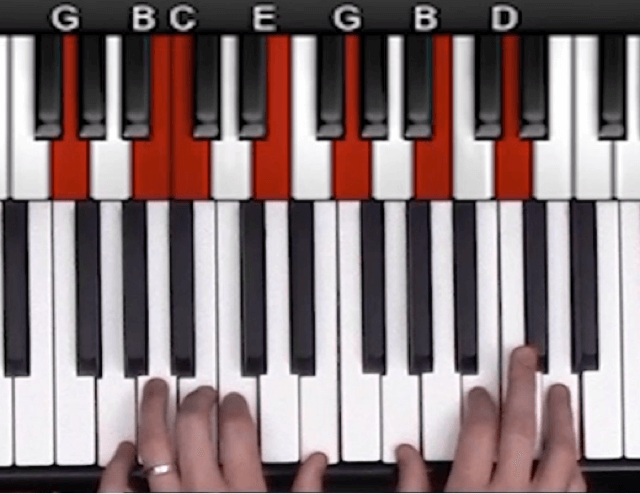 The easiest thing to do when you play Jazz Piano Bolero style is to play octaves with your right hand on the 7th of a minor 7 chord, and then the 3rd on the dominant 7 chord in a II-V progression. You can do this! It is very easy. This is pretty similar to how you’d play the upper (and bottom) notes of a montuno. Now, you can just play the notes and relax as the rhythm section is playing the beautiful rhythm. 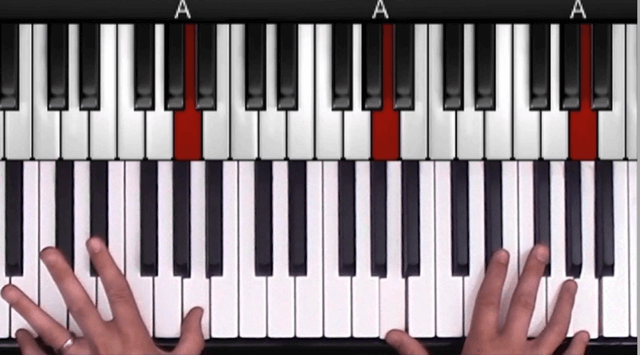 Tip: You can also play some extra notes with your left hand to add some more color. (I did that in the YouTube video). As you see, these are played without using the root. This is why they are called rootless voicings. 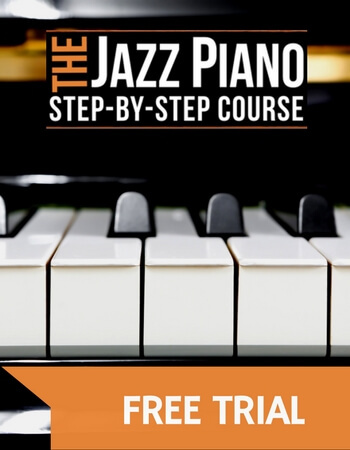 This is some of the first thing I would recommend all pianists that are new to jazz to practice. B voicings are the same, but they are played with a different inversion. 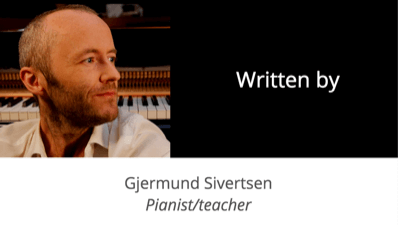 There are plenty of more examples, so if you haven’t yet – please check out my YouTube video about Upper Structure voicings (click here). 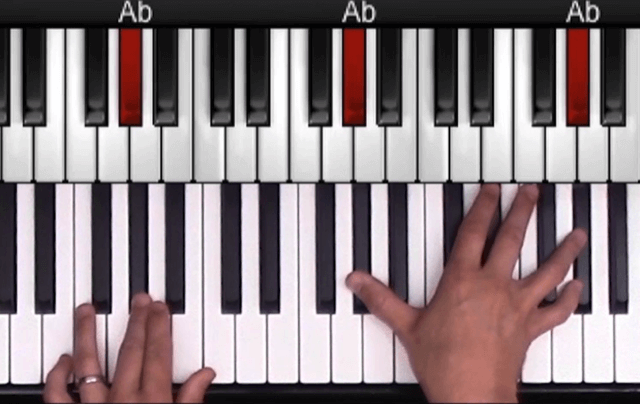 The block chords are good to use when you play the latin jazz piano ballad style. I use it all the time. If you want to learn more about these, please check out my video on YouTube titled ”How To Play Block Chords (Jazz Piano)” (Click here). This concept is maybe one of my favorite, as you really get the freedom to play whatever you’d like (as long as it is from the scale to the 1 chord). When I play jazz piano I think of all of the minor 7 chords as II chords, all of the Dominant 7 chords as V chords, and the Major 7 chords as I chords. When you’re adding a scale voicing, you’re simply playing any note from the scale. What scale? The scale to the 1 chord. For example: An Emi7 is the chord. You can then add any note from the D scale since D is the I (one) chord, if you treat all minor 7 chords as II chords. Another example is if you’re playing an F major 7 chord. You can then play all the notes from the scale (F major). Just be careful adding the 4th note from the scale, but sometimes you can even add this and it will sound good. Last example: When you play on a dominant 7 chord, it would still work the same way. If you play a G7, you can then ”smash” down all the white keys since G7 is the V chord of the C scale. Also here, be careful with the 4th note as it clashes with the third. Also: I’m not using this so much on Dominant 7 chords as I prefer adding the various altered notes (such as b5,#5,b9,#9). Let me explain: T = Tonic. + Is a plus chord. 6 means you’re adding the 6th note to the chord. 7 means that you’re adding the 7th note to the chord. You can also combine this ”trick” with the open chord- style. (I did that when playing the demonstration tune (Do What You Candle) in the end of the lesson. Adding an off beat effect to the chords is extremely effectful. Just make sure you don’t over-use this and combine it with all of the elements above. Here is how: Just play on the ”ANDs”. When you want to master any style, a smart thing to do is to copy and try to sound just like the people you’re copying from. I’ve been playing through the CD multiple times while I was playing on top of the music. (Not copying note-by-note, but listening and try my best to play something that sounds almost like the original piano by Gonzalo Rubalcaba). used Peter Erskines play-along app called Afro-Cuban Essentials. This is an iOS app, and I think Erskine did a GREAT job in creating this (and other) apps. Highly recommended. Whatever you do, make sure you take care of your music! I wish you all the best success with your music!